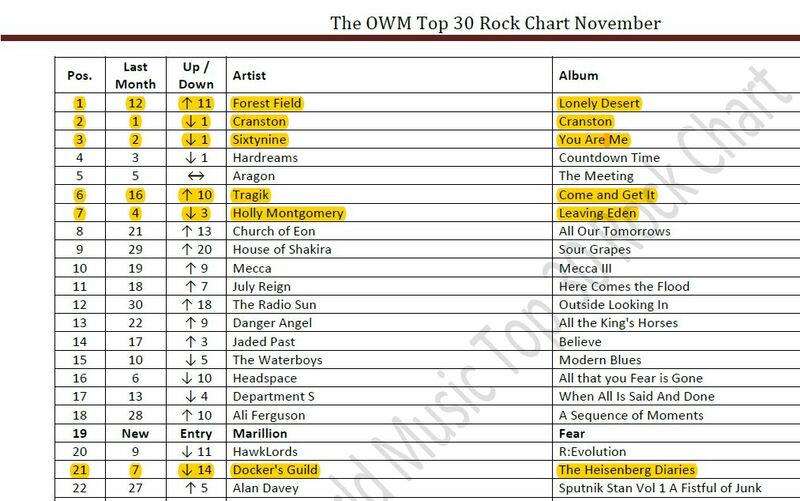 Time to inform you about our Chart success on the One World Music Rock Top 30! #1 is the latest Forest Field album Lonely Desert! This is an incredible achievement for our artists! Many many thanks to the OMWR team and all the listeners! !